As I mentioned on my About page, I received sound financial advice from my parents. I had a middle class upbringing but we never had too much money to spend. My parents didn’t use a budget; instead, they always tried to save a certain percentage of their salary. My dad lost his job in his 50’s and has lived on his savings ever since. Today, I see a lot of people clueless about their money. They blame the system or they blame the government. Any discussion on the economy and finances will invariably lead to statements that the President is at fault. We fail to notice what we did wrong as individuals. The sooner we figure it out, the better our future will be. One of the ‘sooner’ days will be when you start making your own decisions, in your late teens or early 20s. Earlier, I mentioned teaching kids about money and using garage sales to teach your kids about money, but those are only few basic lessons that parents could impart on their kids. 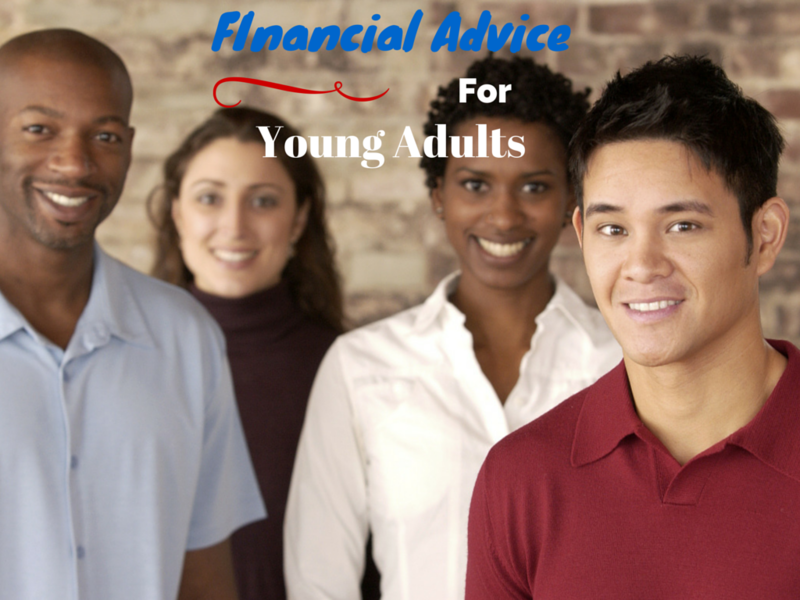 What will a young adult possibly do when he/she has to start making independent financial decisions? You are out of college and saved money from your student loans or paid off your student loans. Now that you’ve started earning a salary and have to make the biggest financial decisions on your own, keep these things in mind. 1. Never buy things you cannot pay for immediately. When you first get your hands on a credit card, it will be very difficult to control your impulses. Good things you see your friends using will tempt you to buy, but try to be content. You can eventually buy the good things in life when you accumulate enough to pay it upfront and in full. This includes vacation travel as well; you’ll have plenty of time later when you have saved sufficient money. Use your credit cards wisely and pay off the entire balance each month. If you cannot pay off the balance, don’t use the credit card. 2. Learn to budget your spending. Budgeting is the single most effective way to control spending and save more money. When you’re on your own, you need to build an emergency fund very quickly that will meet your immediate needs for cash in personal or family emergencies. Provisions for emergency cash should be set aside each month in your budget. Set a target savings amount for each pay check, have it auto-invested in an interest-paying investment. For the rest of the money, plan your spending in such a way that your needs and aspirations are accounted for. 3. Start saving for retirement. It’s never too early to start saving for retirement. Have you heard of the term ‘financial independence’? You can achieve financial independence when you can sustain your living without the need to work to earn money. Your job is a modern form of slavery – the quicker you get out of slavery, the faster you will achieve freedom. You can’t retire early unless you have sufficient income-earning assets, which can only be acquired sooner by starting sooner. Start investing in your employer’s 401(k) plan and automate a payment to IRA accounts from every paycheck. Check this calculation as to how saving one hour of your daily wage can make you a millionaire. 4. Start saving for life events. Stop impressing your girlfriend or boyfriend, don’t shower them with pricey gifts or dinners. You probably dont need a brand new car and a big house to live in. Until you have family and kids, you must live frugally to save for big occasions such as marriage, child birth, kids’ education, etc. It is generally a good practice to have separate accounts for each such future life event and set aside money from each paycheck. Also, it is important that you get over the student loan debt (if you have any) as soon as possible. 5. Be a valuable employee.. Nothing increases your earning potential more than your hard work and increasing value to your employer. Wherever you work and whatever you do, unless you go up in the corporate hierarchy, your salary will not go up. With saving money alone you can only increase your savings to a limited extent. Switch jobs to maximize income, or apply for internal postings within your job to go up the ladder, as sometime an incompetent boss can ruin your career along with his/her own. 6. Build your credit as fast and strong as possible. It only took me just 6 years to reach a 800 credit score, it’s not so hard. A good credit score has a lot of advantage associated with it, such as thousands of dollars in savings when you pay relatively lower interest on a car loan or mortgage, greater access to loans, and lower rates on insurance. 7. Be prepared for financial disaster – have insurance. Insure your life, health, auto and home as soon as possible. Things going wrong that requires money to amend, like accidents, illness, fire or flood can wipe out your entire savings. Safeguard your money by insuring against unforeseen events. Gone are the days when you fell ill and the entire neighborhood came to your aid. In this economy, you have to help yourself. 8. File your taxes diligently. You are still too young to know all the intricacies of taxes. I am a novice myself, but it doesn’t take more than an elementary knowledge of tax law to file your tax returns. It is better to learn those basic tax rules before your first paycheck arrives. Never be late in filing tax return! If necessary, get help from someone older in your family. 9. Never stop learning. We live and work in a world that is constantly changing. If you stop learning, you will soon fall behind. Learn new skills, a new language, or take vocational or online courses. Only learning will keep you ahead of your coworkers. Learning not only helps us do things in efficient ways but also motivates and stimulates you to continue to work. Nowadays, everybody works hard – it’s the level of skill that differentiates. Read books regularly, take classes and trainings, read my blog regularly 🙂 and learn newer things. Be careful in what you are learning and from whom. The wrong advice can have a miserable impact on your life and others who will be dependent on you in the future. 10. Be an entrepreneur if you can. This is the last piece of advice I can give you. I grew up in an environment where taking on a job and supporting family members were my first and foremost responsibilities. I couldn’t take risk of having something on my own. Our economy needs more and more entrepreneurship for job creation and growth of the economy. This is the most opportune time of your life as you are independent and no one depends on your income other than you. 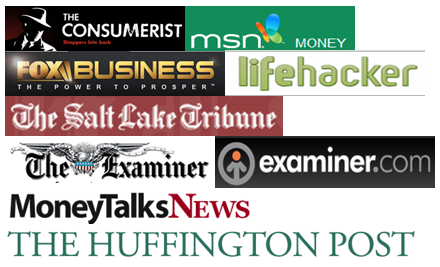 I am sure you will find tons of material with advice to young adults on internet, but I do not want my readers to go elsewhere to find the help they need. All the best for your future life. These are all great tips. I especially like the ‘be a valuable employee’ and ‘be an entrepreneur’. I think whether you are working for someone else or yourself, nothing replaces hard work. I love number one! So many of my friends got a job and immediately took out loans or over-committed themselves financially. Its so tempting to spend on latest gadgets, cars, electronics etc. You always tend to think that you cna pay off quickly from your future pay checks. You forgot to see a TV now can cost you a few TVs in future in credit card interest cost alone. This is wonderful information that I wish I had when I first started out. Then again, I had someone who was willing to teach it to me but I didn’t care to hear it. My favorite tip? Never stop learning. So crucial. You are never late! I know you are still young and can amend your mistakes. Learning is one important aspect of all things that has to do with growth. I personally take offense to #8 😉 As for being an entrepreneur, I don’t know why everyone is making such a big push for everyone to try. Some people are great at a particular job but not everyone is meant to run a business. I would especially recommend learning about how credit cards works as it might help keep spending under control as suggested in #1. Can I amend # 8 to say “take advice from Eric’? 🙂 being an entrepreneur is advice number #10, and on purpose. I don’t want everyone to start business then where will the workforce be? But don’t you agree that being young, afresh and being independent is the most appropriate time to start a business. Most great businesses had been started by the founder at a very early stages of life. I think it is good for everyone trying to be and entrepreneur. Entrepreneurship does not have to be a full-time job or high risk. Kids with a lemonade stand are entrepreneurs. Just about all bloggers are entrepreneurs. I think I might even be able to argue that promoting yourself in the job market, at minimal, takes some entrepreneurial talent and thus having some experience as an entrepreneur can really be beneficial. Shaun, I think you may be trivializing it a bit. Does someone who goes to the gym once a week call themselves a “bodybuilder”? Is a person who buys a bunch of wine considered to be a Sommelier? The kid who sells lemonade isn’t building a business. Selling yourself in the job market makes you a good self-promoter or marketer. An entrepreneur is someone who makes money by building and managing a business through risk and initiative. There is a big distinction between those examples. Now, if those kids were designing new flavors or recipes and packaging them or the self-promoter was starting a career-placement service firm, then I would agree that they are entrepreneurs, but just doing something that makes a little money isn’t necessarily the same thing. I don’t disagree with your rebuttal. But, I think you’ve missed my meaning. I said “try to be an entrepreneur” and that promoting yourself takes similar skills as those that an entrepreneur possesses. Trying doesn’t make you one, but you might learn some valuable lessons. Someone going to the gym to become a bodybuilder may not become a bodybuilder, but will, not doubt, learn some valuable skills that successful bodybuilders possess. They may not have the full package, but you can learn valuable lessons from the effort. …like perhaps that you aren’t cut out to be an entrepreneur. Continuously learning and becoming an entrepreneur are valuable things young people tend to forget (including myself). I strive to learn as much as I can, and to have a go-getter positive attitude. Like you mentioned, reading sites like this blog, go a long way towards feeling confident and succeeding in life. Carrie, thank you so much for your kind words. This type of support I need to continue to write in my busy schedule with day job. I am really overwhelmed! NEVER EVER stop learning. The root of all evil is ignorance. Thanks for your comment! Learning actually never stops agreed! if I had these tips when I was a young adult, I could have saved myself a lot of heartache and many sleepless nights! I spent like there was no tmrw, did not bother with a budget (life’s meant to be care-free i thought), what retirement?? Insurance was for someone old and sickly, why pay for something when there’s credit cards.. and my delusional lists goes on. So yeah, all you young adults out there, take heed of these comments. Reject these at your own peril!! These are all great pieces of advice! Many of these, I’ll admit, I’ve known for years, but haven’t been taking action on it. Thanks for sharing! So are we all! knowledge is one thing and the execution of it is another..thanks for stopping by. Excellent advice for us “not so young anymore” adults as well. 🙂 Savings first and be a valuable employee are my favorites. Anyone in the workforce now must continually add to their skill set and make sure that whatever you are working on adds value for your employer. Then ‘keep learning’ is also your favorite, isn’t it? Excellent advice for Gen Y and everyone else. There is lot of power in ideas. If you can brainstorm 3 ideas everyday on how to add value to people, you can come with with one winner for sure but you have to be committed! Credit cards can be an asset if one can learn to use credit cards wisely and accumulate cash back. That can be a source of income as well. I really like your site–it’s a great resource, and I’m glad that other people are taking up the cause as well! I particularly like your advice to start saving early for retirement. I know it isn’t on the forefront of most young people’s minds, but I know firsthand how important it is. If you start investing late, it can be incredibly difficult to make up the difference! I appriciate your post even you figure it out about value of money in younger age and define here with good points like insurance, one of the most important insurance is income potection insurance, this insurance make strong in financial terms whether any incident, illness and accident occur. 2nd post I left a comment on. You are truly a master of your passion. Glad to hear you learned early on from your parents. Money was taboo in my house, other than basic checking and saving lectures we didn’t talk about money much. It wasn’t until living many life lessons and proper education that I finally wrapped my head around personal finances. Even if “become an entrepreneur” means doing it in your free time, outside of work, the lessons that you learn in your extra pursuits will only help you!